3IMR　Tohoku　Univ. 4Res. Inst.for　Applied　Mechanics,　Kyushu. Univ. 1The　Oarai　Branch、　IMR. Tohoku　Univ. 2IMR　Tohoku　Univ. aOarai　Branch、　IMR　Tohoku　Univ. Res. Reactor　Inst. Kyoto　Univ. aJAERI、　bTohoku　Univ. cShizzuoka　Univ. aNIFS、　bOak　Ridge　National　Lab. cRes. Inst.for　Applied　Mechnics、　Kyushu　Univ. 1Earthquake　Res. Inst、.Univ.of　Tokyo、　2Faculty　of　Sci. Chiba　Univ. 3Faculty　of　Sci.、　Kanazawa　Univ. The　Island　Arc(2001)　10,　22～32. Applied　Phys、　and　Chem.、　Faculity　of　Eng. Hiroshima　Univ. Applied　Phys　and　Chem.、　Faculity　of　Eng. Hiroshima　Univ. Mat. Res. Soc. Symp. Proc.、　Vol.650(2001)　R3.11.1～R3.11.6. Applied　Phys.and　Chem.、　Faculity　of　Eng. Hiroshima　Univ. Mat. Res. Soc. Symp. Proc.、　Vol.650(2001)　R3.23.1～R3.23.6. aInst　Advanced　Energy、　Kyoto　Univ. cDepart　Quantum　Energy　Tohoku　Univ. 1)　Inst　Advanced　Energy、　Kyoto　Univ. 2)Graduate　School　of　Energy　Sci. Kyoto　Univ. 3)IMR　Tohoku　Univ. 4)Graduate　School　of　Quantum　Energy. 2)Inst　Advanced　Energy、Kyoto　Univ. 3)IMR　Tohoku　Univ. aRes. Inst.for　Applied　Mechnics、　Kyushu　Univ. 1IMR　Tohoku　Univ. Oarai　Branch　2Graduate　School　of　Eng. Dep. Applied　Chem. Faculity　of　Sci. and　Technol. Keio　Univ. 1Interdisciplinary　Graduate　School　of　Eng. Sci. Kyushu　Univ. 2Res. Inst. Applied　Mechanics　Kyushu　Univ. 1Res. Inst. Applied　Mechanics　Kyushu　Univ. 2Res. Inst. Advanced　Sci. and　Tech. Kyushu　Univ. 1)Inst　Advanced　Energy、　Kyoto　Univ. 2IMR　Tohoku　Univ. Effects　of　Radiation　on　Materials、　20th　Inter. Symp. The　Oarai　Branch、　IMR　Tohoku　Univ. 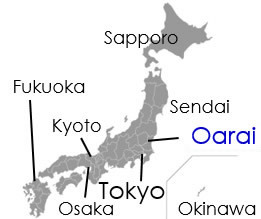 bThe　Oarai　Branch　IMR　Tohoku　Univ. cDep. of　Chem. And　Mater. Eng. Faculity　of　Eng. Shinshu　Univ. A.Kimura　Effects　of　Radiation　on　Materials、　20th　Inter. Sympo.